Looking for a sweet gift for a new baby girl? 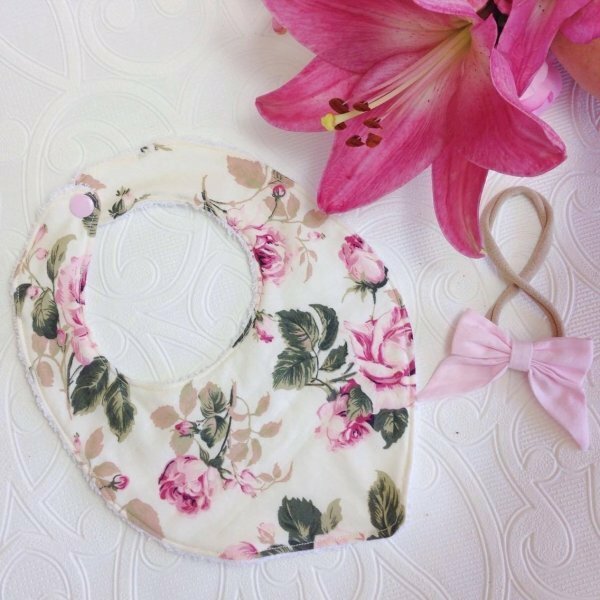 Our vintage dusty pink rose bib & hair bow set is a perfect gift to give for a baby shower or to celebrate the arrival of a little baby girl. A pretty cream fabric with vintage roses in shades of baby pink & dusty pink.